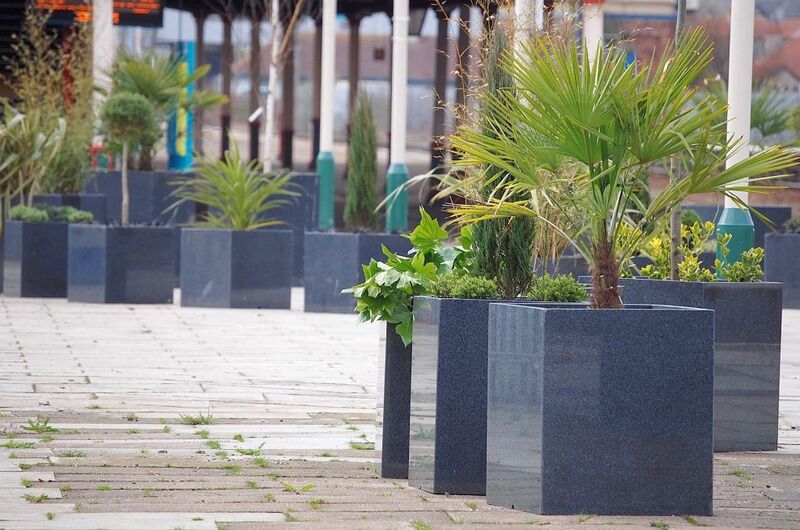 IOTA’s natural stone planters feature in the latest phase of the regeneration plan for the Welsh seaside town of Rhyl. Granite was chosen for its strength and solidity, making it an ideal choice for high-traffic public spaces. 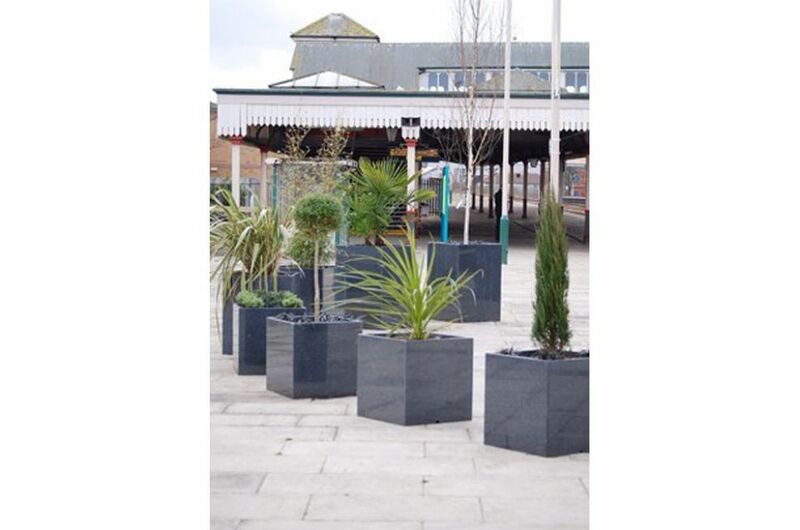 A total of 110 planters were supplied, divided across three schemes – for the Railway Station, the High Street, and local schools. 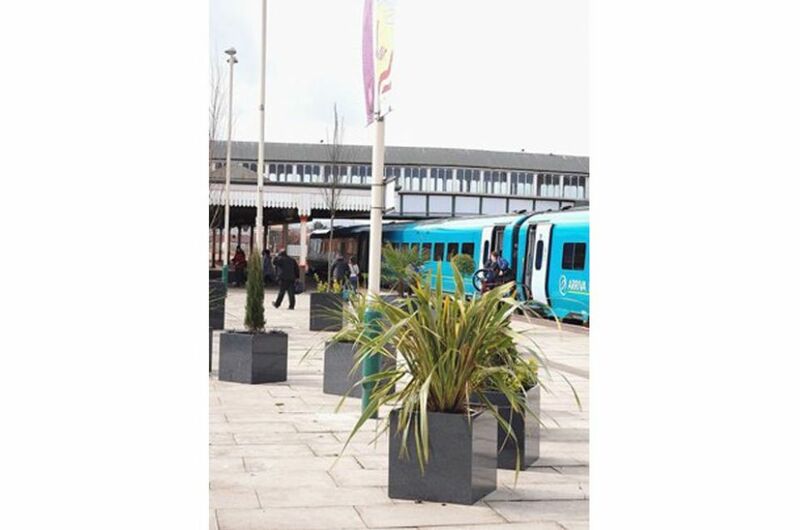 The container-based landscaping scheme for the Railway Station was developed by IOTA, based on an original concept by the Welsh College of Horticulture, and in close consultation with the Regeneration Office of Denbighshire County Council and the Rhyl Business Group. The scheme’s central objective was to ‘humanise’ the wide and open platforms of this imposing Victorian station, and planters are used to divide the space and to define separate areas. Arrangements of cube planters of varying heights add structure and interest, whilst also creating flowing ‘wave’ shapes which mirror the new Drift Park Monument on the Promenade. 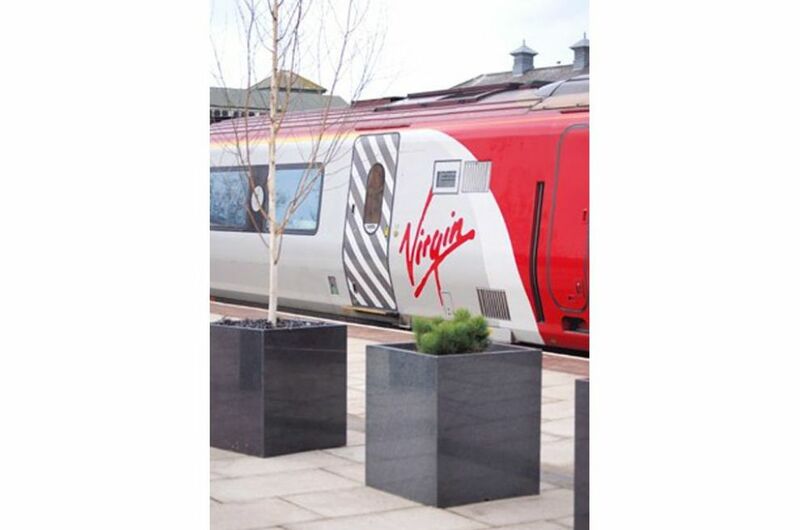 A ring of planters creates a focal point area at the centre of the platform, which will showcase a commissioned artwork. 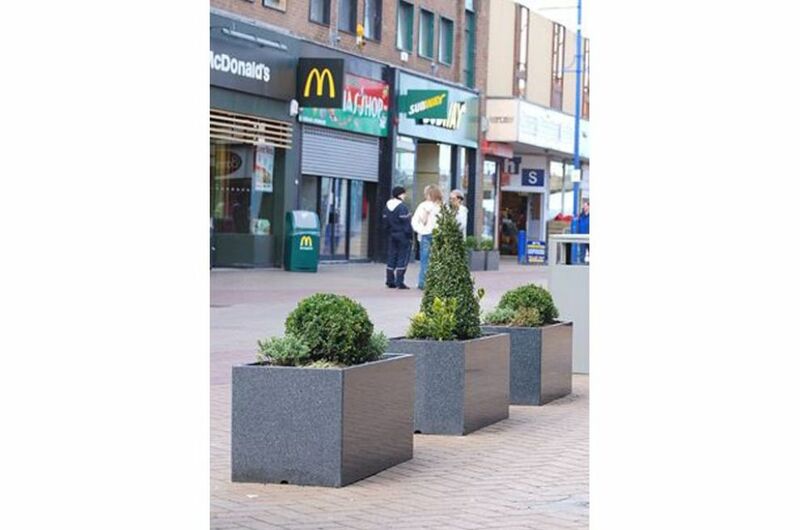 The planters used are IOTA’s stock Cube 600, along with bespoke planters of heights 800 and 1000mm. 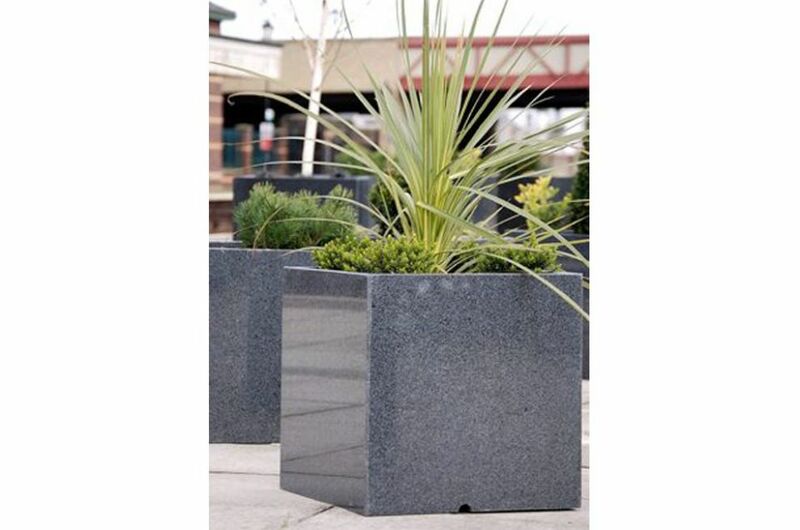 The High Street scheme utilizes three of IOTA’s largest stock planter designs in Granite – the Taper 600, Taper 800 and Trough 1000. 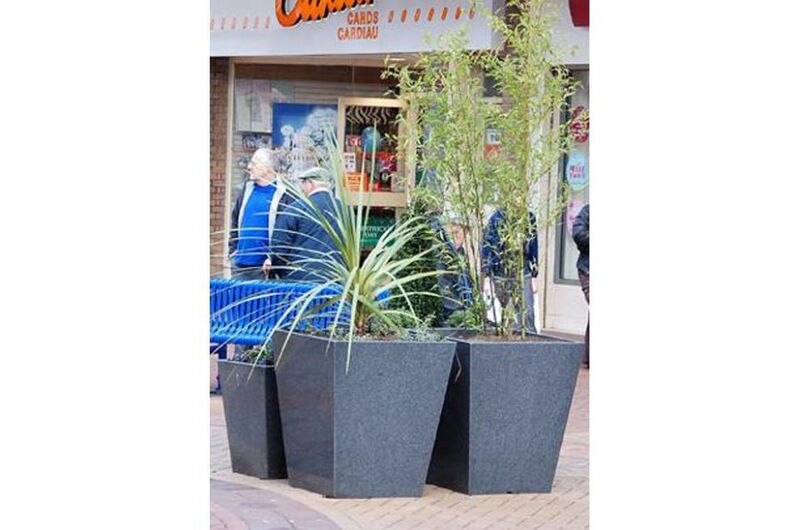 Within the overall regeneration plan for the High Street, the planters are intended as a cost-effective and rapidly implemented means to ‘lift’ the environment on an interim basis. 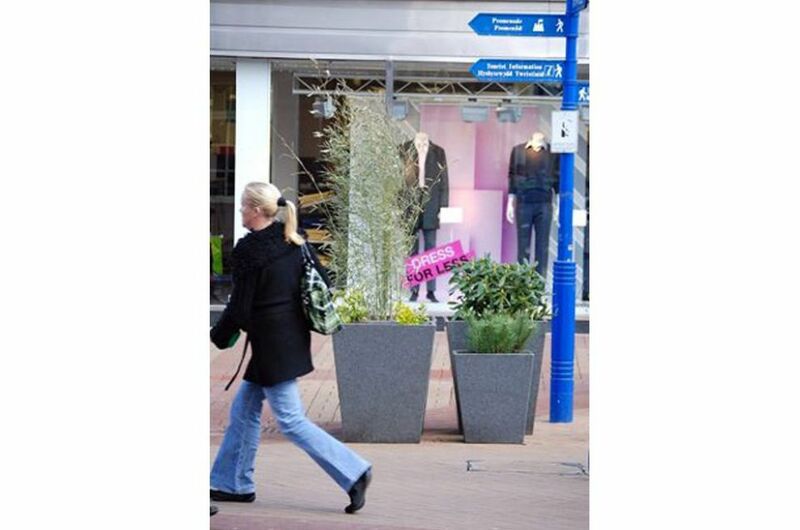 Longer-term, IOTA’s planters will become incorporated into more substantive renovation of the High Street, to include new hard landscaping and street furniture. 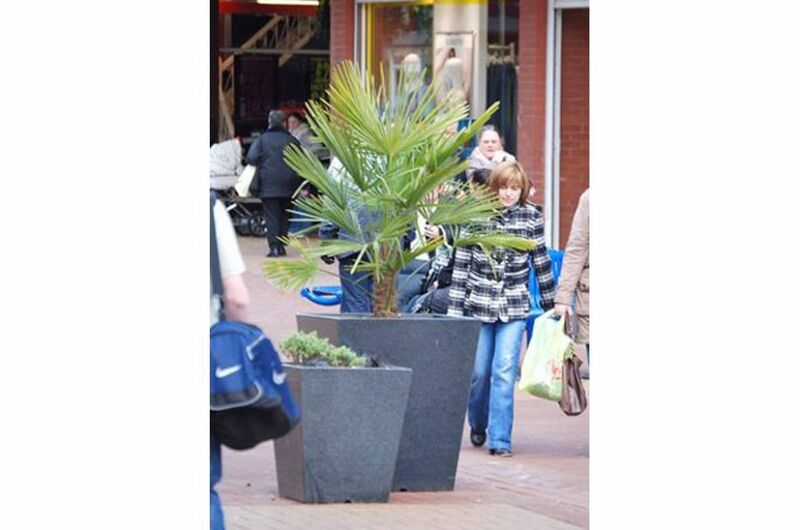 In the final scheme, IOTA’s Trough 1000 planters were chosen for an educational initiative promoted by the Rhyl LEQ Partnership. The planters were donated to 10 local schools, to be used in horticulture and environmental awareness projects.